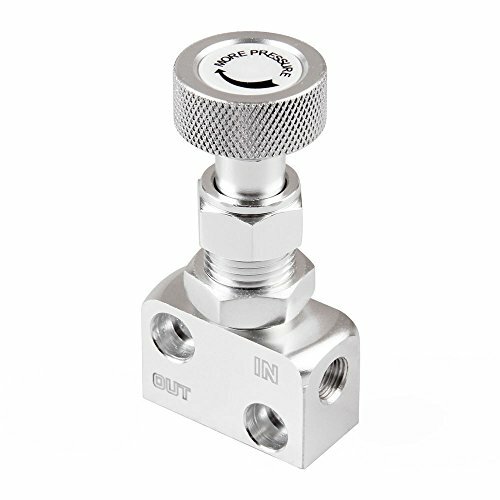 Designed for use with CPP proportioning valves, these tools lock the valve in place and keep it from tripping when bleeding your brakes. You simply remove the warning light switch (white plug) on the valve and screw in the tool while bleeding your brakes. After the process is finished replace the warning light switch. 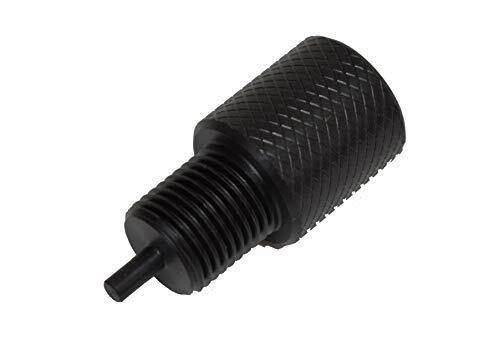 Tool is made of lightweight, durable nylon to protect the threads on your valve from damage due to accidental cross-threading. WORKS ON ALL POPULAR non-adjustable GM style combination valves. 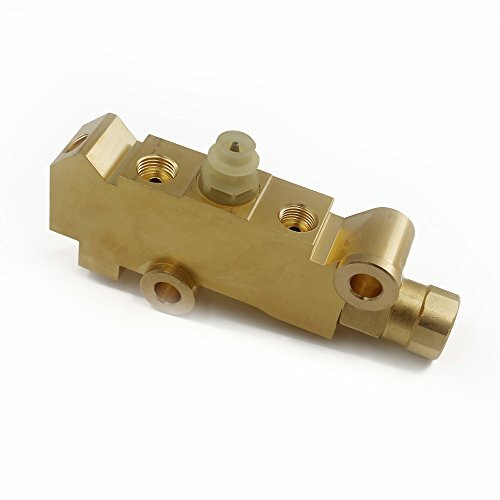 AC DELCO style proportioning-combination valve in brass. carry individual proportioning valves for your customized application. Works on , and MOPAR. These combination-proportioning valves are based on the popular AC DELCO 172-1353(disc-drum) and 172-1361(disc-disc) valves. When upgrading your vehicle from drum to disc, these small items are a must. These components ensure proper fluid transfer and contain a residual pressure valve for proper braking feel. 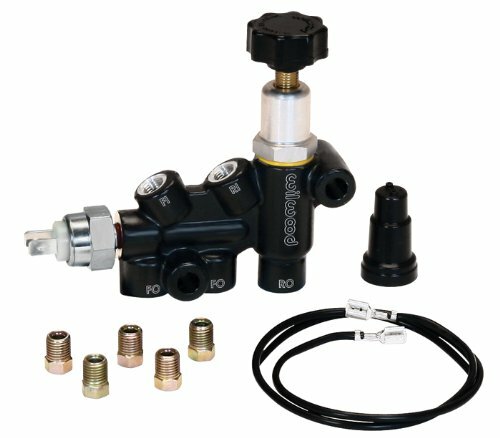 Wilwoods new Combination Proportioning Valve substantially simplifies mounting, plumbing, wiring and brake proportioning adjustments on vehicles with custom brake systems. 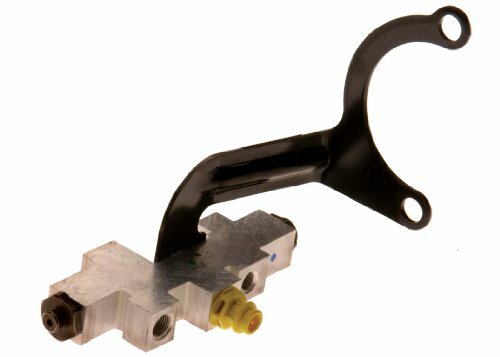 The combination block maintains full isolation between front and rear fluid circuits and can be used in conjunction with any tandem outlet or dual mount master cylinder assemblies. The rear circuit has a single inlet and single outlet with the adjustable proportioning valve. The front circuit has a single inlet with two outlets. 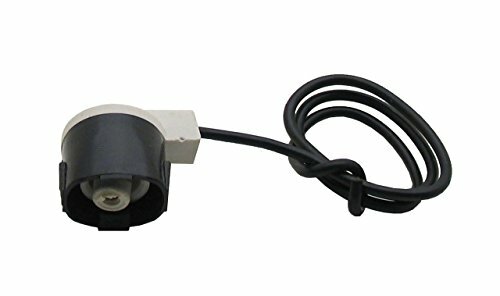 It can be run as a single outlet with one outlet plugged, or used to split the plumbing on its way to the front calipers. 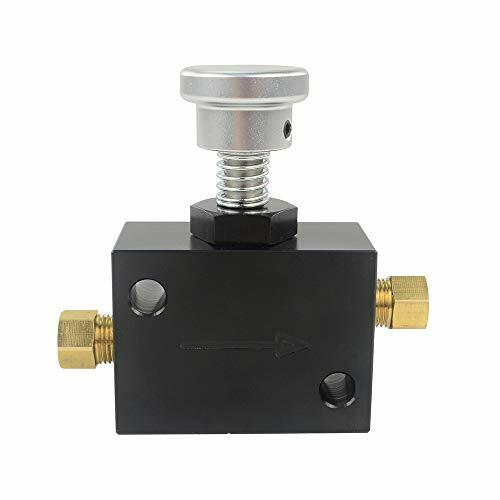 Why choose UTSAUTO proportioning valve PV2? This is a UNIVERSAL Combination Valve, Disc/Drum brakes, Brass; Exact Copy of Original. This is a UNIVERSAL PV2 combination-proportioning valves are based on the popular AC DELCO 172-1353(disc-drum) and 172-1361(disc-disc) valves. When upgrading your vehicle from drum to disc, these small items are a must. 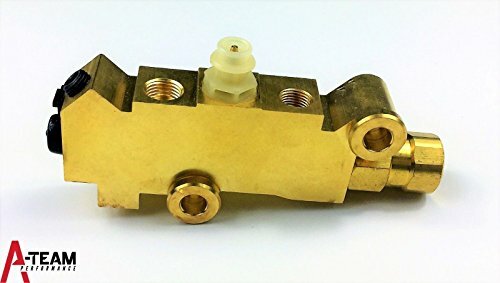 New solid brass reproduction Brake Combination (Proportioning) Valve for 1978-1988 GM G-body and 1971-1981 Camaro & Firebird is an exact replacement for GM# 25509419. 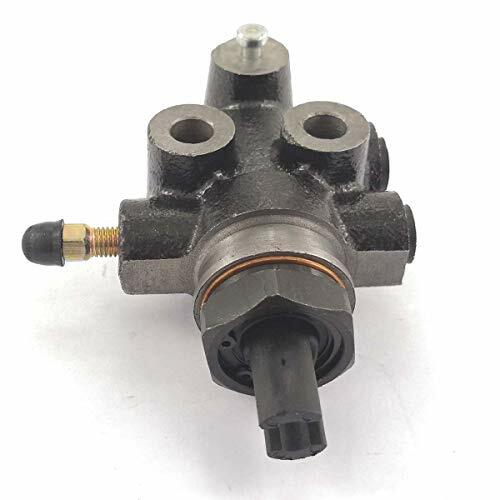 Factory original brake combination valves were iron bodied and subject to considerable inner deterioration due to excessive absorbed moisture in brake fluid, especially when brake fluid was not replaced often enough. If you receive an order that does not meet your expectations, please allow us the opportunity to fix the problem before leaving negative feedback or rating us. We want you to be happy with your purchase! Contact us via the Message Center. Thanks. Has standard 9/16"-18 and 1/2"-20 fittings. Fits most OEM dual-reservoir type master cylinders. This combination-proportioning brass valves are based on the popular AC DELCO 172-1353(disc-drum) and 172-1361(disc-disc) valves. 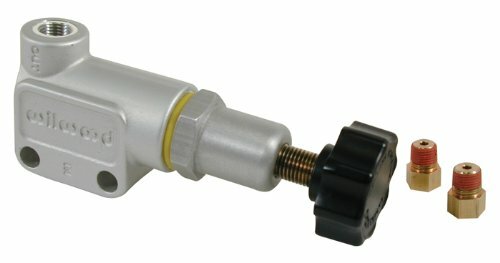 This PV-2 proportioning valve works on almost any Chevy or Ford street rod, classic truck, or muscle car. For use with disc brake front and drum rear applications. Two lines out for the front. One line out for the rear. Inlet sizes are 1/2 in.-20 (Front) and 7/16 in.-24 (Rear). Outlet sizes to front are 3/8 in.-24 and rear outlet is 9/16 in.-18. 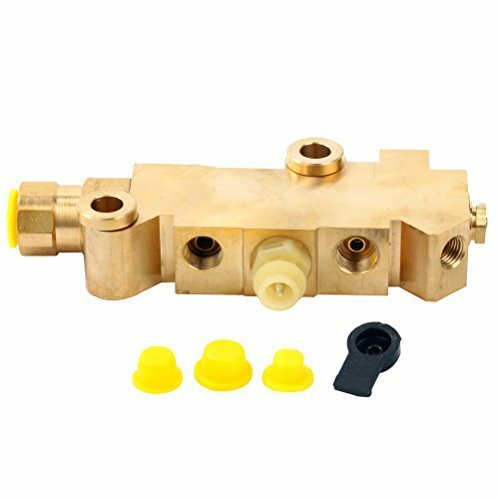 Kit for Disc/Disc; For use with 9/16" 1/2" Ports; Left Mount Brass Proportioning Valve, Steel Lines, Bracket and Proportioning Valve Plug Left side means drivers side AC DELCO style proportioning-combination valve in brass. carry individual proportioning valves for ycustomized application. These combination-proportioning valves are based on the popular AC DELCO 172-1353 (disc-drum) and 172-1361 (disc-disc) valves. When upgrading your vehicle from drum to disc, these small items are a must. These components ensure proper fluid transfer and contain a residual pressure valve for proper braking feel. 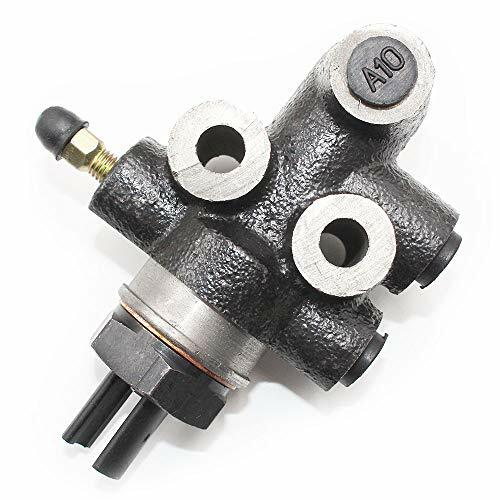 These valves contain a low pressure shut off valve and warning light switch to ensure driver and vehicle safety should your brake system lose hydraulic line pressure. Aftermarket imported master cylinders with built in adjustable proportioning valves DO NOT feature this and could put you and your vehicle at risk. 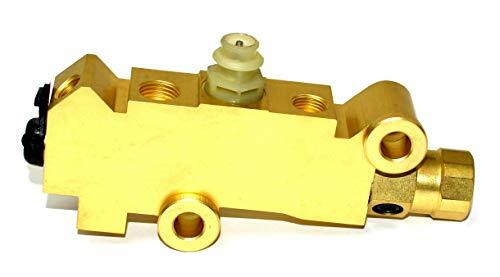 Includes: Brass Proportioning Valve Zinc Mounting Brackets Lines (OM material) Wire Plug Line sizes to MC: 9/16-8 and 1/2-20 standard threads. 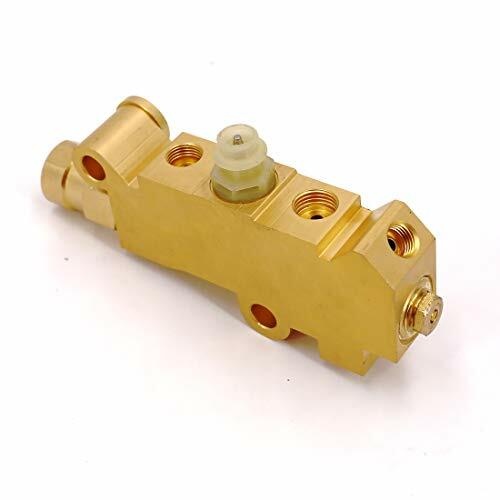 AC DELCO style proportioning-combination valve in brass. carry individual proportioning valves for ycustomized application. These combination-proportioning valves are based on the popular AC DELCO 172-1353 (disc-drum) and 172-1361 (disc-disc) valves. When upgrading your vehicle from drum to disc, these small items are a must. These components ensure proper fluid transfer and contain a residual pressure valve for proper braking feel. 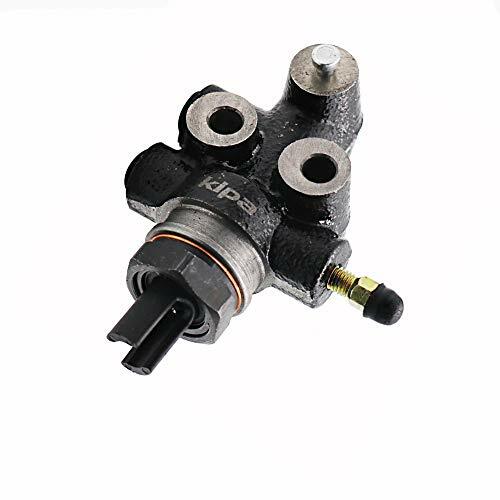 Why choose UTSAUTO Brass PV4 brake proportioning valve? 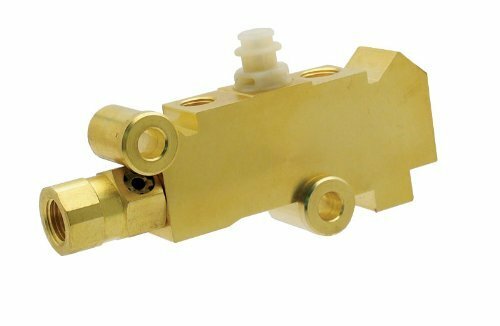 This is a UNIVERSAL PV4 combination valve, Disc/Disc brake system combination valve?exact copy of original AC DELCO style proportioning-combination valve in brass. This PV4 combination-proportioning valve is based on the popular AC DELCO 172-1361(disc-disc) valve. Our proportioning valve will work as left mount, right mount or bottom mount.The combination/prop valve has five connections.It has a 9/16"-18 connection for Rear Brakes & Dual 3/8"-24 ports for the front brakes.The connections from the Master Cylinder are 1/2"-20 and 7/16"-24. If you receive an order that does not meet your expectations, please allow us the opportunity to fix the problem before leaving feedback or rating us. We want you to be happy with your purchase! Contact us via the Message Center. Thanks. These PV4 combination-proportioning valves are based on the popular AC DELCO 172-1361(disc-disc) valves. 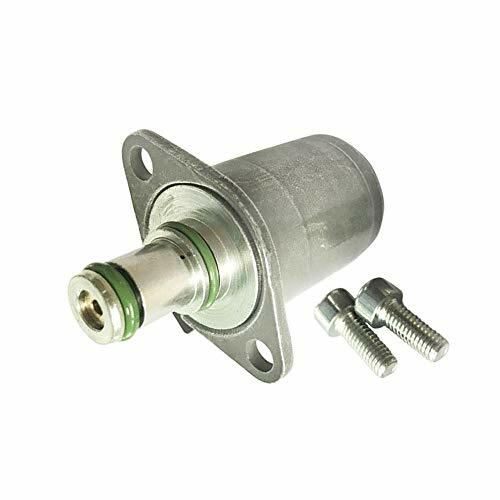 This PV4 proportioning valve great fit for your classic truck.They will work on nearly all vehicles that have disc brakes in the front and disc brakes in the rear. The perfect compliment to your disc/disc brake setup. 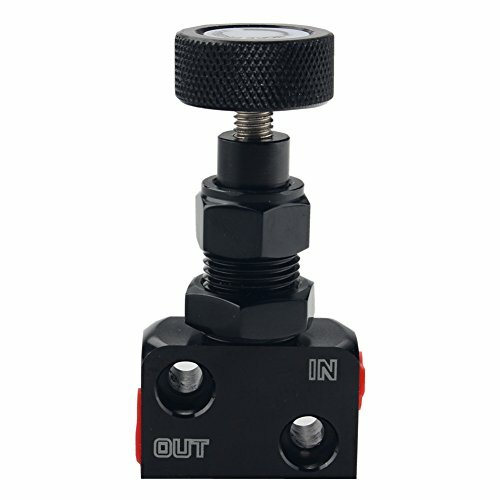 This proportioning valve (also known as a combination valve) helps proportion the amount of pressure sent to the front and rear brakes, helping prevent rear lock-up. Please note that this valve has (2) 3/8-24 ports for the front left and right calipers and (1) 9/16-18 port for the rear brakes. The connections from the Master Cylinder are 1/2-20 and 7/16-24. 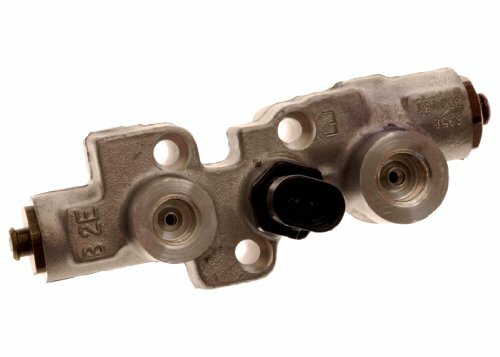 ACDelco GM Original Equipment Brake Proportioning Valve is a GM-recommended replacement component for one or more of the following vehicle systems: brake. This original equipment valve will provide the same performance, durability, and service life you expect from General Motors. Shipping from California, Fast Shipping and Good Service. Please check the part number before purchasing to ensure fitment.Any question, please feel free to sent message to us. Installed in the rear brake line and allows you to adjust the rate of pressure rise to the back brakes;you can slow down the pressure rise that occurs when you apply the brakes. Part Number:47910-26040; Please check the part number before purchasing to ensure fitment. If you want the part for left hand drive, Please refer to 47910-27081. Any question,please fell free to let us known. Thanks! A-Team Performance DISC/DRUM Disc Front Drum Rear Brake Brass Proportioning Valve PV2 Street Rod Classic Car & Truck is a UNIVERSAL PV2 Combination-Proportioning Valve, Disc/Drum brakes, Brass; Exact Copy of Original AC DELCO style proportioning-combination valve in brass. Functions well when using disc brakes in the front and drum brakes in the rear. Also carries individual proportioning valves for your customized application. With the right fittings, this GM style valve will work on almost any Ford, Mopar or Chevy. Built with heavy duty feature and made to last long. These combination-proportioning valves are based on the popular AC DELCO 172-1353(disc-drum) and 172-1361(disc-disc) valves. When upgrading your vehicle from drum to disc, this is a must. COMPATIBILITY - Fits most OEM dual-reservoir type master cylinders. DURABILITY - The valve is made in solid brass for heavy duty and long lasting feature. SOLD EXCLUSIVELY BY - Southwest Performance Parts. Hurst #1745000-K Line Lock Kit, 1/8 in. 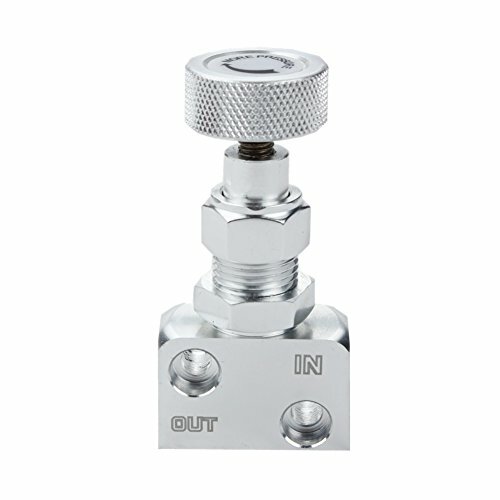 NPT Inlet/Outlet, Stainless Steel, Polished, Includes Universal Installation Kit, Kit. Whether you call them roll controls, line locks, or whatever, Hurst Roll Controls keep your stick shift car out of the staging lights until you're ready to launch. Controlled by a solenoid valve attached to a switch on your shifter, roll controls keep you from rolling by locking your front or rear brakes. When you hit the switch, your brakes are unlocked and you're ready to hit the throttle. Rigorous testing has proved a 1/100,000th of a second release time, and vibration tests have surpassed 30 Gs without mechanical failure. Each roll control comes with a rebuildable stainless steel solenoid valve, indicator light, inline fuse holder, and complete instructions. Hurst Roll Controls give you one less thing to worry about when you're staging. This should not be used as an emergency brake, or on any application requiring the solenoid to be activated for a long period of time.These Hurst installation kits are designed to make installing a Hurst Roll Control on most American made vehicles much easier. This kit contains brake lines and various brass fittings, connectors, adapters, unions and plugs necessary for an easy installation. push down the knob on the Brake Lock. Release the foot brake and it's locked. To release the lock, step on the foot brake and it opens automatically. Use two holes to mount the brake lock where is properly. 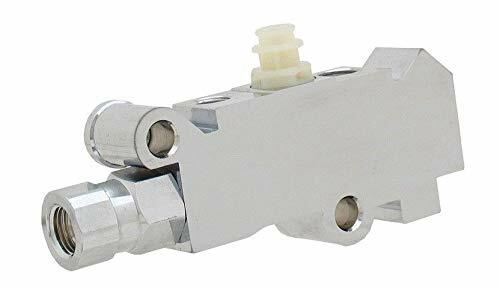 In port (1/8" NPT): connect to master brake cylinder, it also come with 3/16" brake line fitting, you can chose to use the fitting or not. Out port (1/8" NPT): connect to rear brakes. , it also come with 3/16" brake line fitting., you can chose to use the fitting or not. Note: it should NOT be used under unintended, emergency or long time hold brake. come with 3/16 brake line fitting, you can chose to use the fitting or not. This brake lock using hydraulic line pressure hold your brakes. For cars, trucks, Disc or Drum brakes. We offer a one-year warranty on this A-Team Performance Wire. Wilwood finally has an elegant answer to the question, “Where do I mount my Combination Proportioning Valve with their new Mounting Bracket Kit. Specifically designed to work in conjunction with Wilwood Aluminum Tandem Master Cylinders (P/N’s 260-8555, 260-8556 or 260-9439), in manual or boosted system applications. 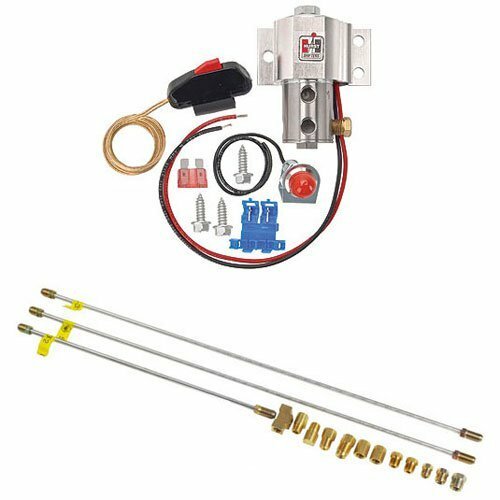 Kit includes Stainless steel fluid tubes are precision bent with preinstalled stainless tube nuts for a simple bolt-on installation between the Combination Proportioning Valve and the Wilwood Tandem Master Cylinder. Stainless steel button head fasteners thread into the black e-coated L/H bracket for a simple installation and years of durable, rust-free performance. 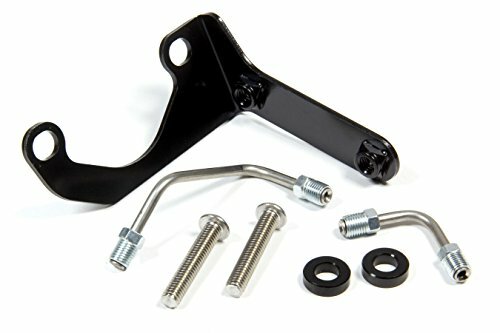 This complete Mounting Bracket Kit includes all the mounting hardware. 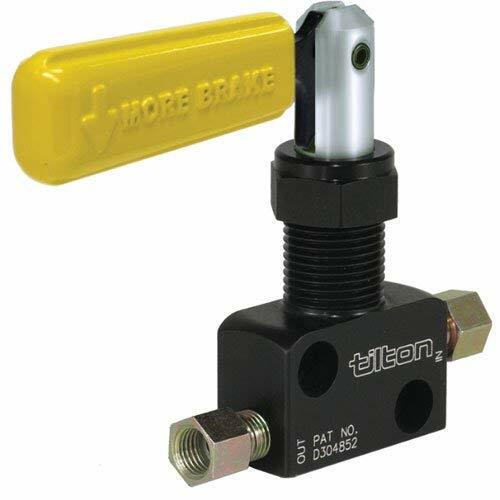 Tilton's popular, adjustable hydraulic brake proportioning valve enables the driver or a crew member to make adjustments of the brake force to a particular wheel or wheels. The Lever-type model provides a reliable visual reference for seven distinct brake force reduction positions. 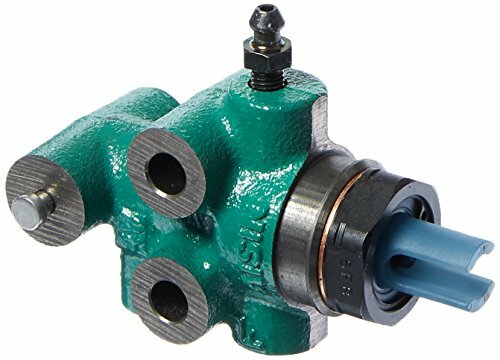 Pit Stop USA offers Tilton Brake Proportioning Valve - Lever Type - -03 AN Male & 3/16" Inverted Flare Ports 90-1000 at low everyday prices. NEW A-TEAM FORD BRONCO F150 F100 E100 E150 PROPORTIONING VALVE DISC/DRUM THIS BRASS VALVE WILL FIT BRONCO'S AND F150'S THIS ONE IS FOR DISC/DRUM SET UP EMAIL US AND WE CAN MAKE IT DISC/DISC.If your Ford brake system is allowing your rear brakes to lockup before your front brakes, you may need to replace this proportioning valve. Plug is included. More pressure is then applied to the front giving a much better overall braking performance. screw-type proportioning valves enable adjustable brake line pressure reduction to a particular wheel or wheels. They can also be used effectively with single or dual master cylinder systems, providing better front-to-rear brake balance under both light and heavy braking. Easy to install and exactly Fit, Included the bleed valve but not the boot. 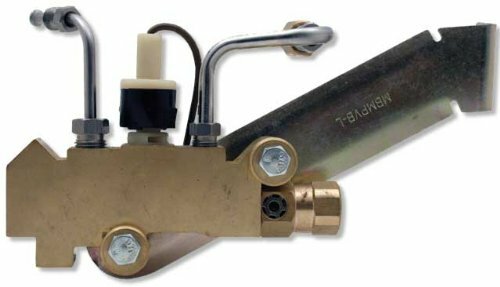 This is a UNIVERSAL Combination Valve, Disc/Disc brakes, ALUMINUM; Exact Copy of Original AC DELCO style proportioning-combination valve in brass. carry individual proportioning valves for customized application. These combination-proportioning valves are based on the popular AC DELCO 172-1353 (disc-drum) and 172-1361 (disc-disc) valves. When upgrading your vehicle from drum to disc, these small items are a must. These components ensure proper fluid transfer and contain a residual pressure valve for proper braking feel. Fitment: Universal to most cars. Please compare your parts with the pictures before purchasing an item. Applied High Quality Material: Brake valve with Aluminum for maximum durability, light and strong, anti-rust and anti-corrosion. Use for: Enhanced brake control greatly aids in rotation. (150PSI - 1200PSI pressure range for motor sports). More pressure is applied to the front giving a much better overall braking performance. A Must-Have Tool for All Race Cars: It completely regulates the front to back brake pressure by placing the valve in line to the rear brakes for professional motorsport. Service Guarantee: Excellent quality Service, fast delivery, simple after-sales. We promise satisfaction guarantee as we can. If you have any dissatisfaction,please let us know and our Aramox team will respond within 24 hours.